After starting out in an Auckland club band, Rowles ‘crossed the ditch’ to perform in Melbourne and Sydney. 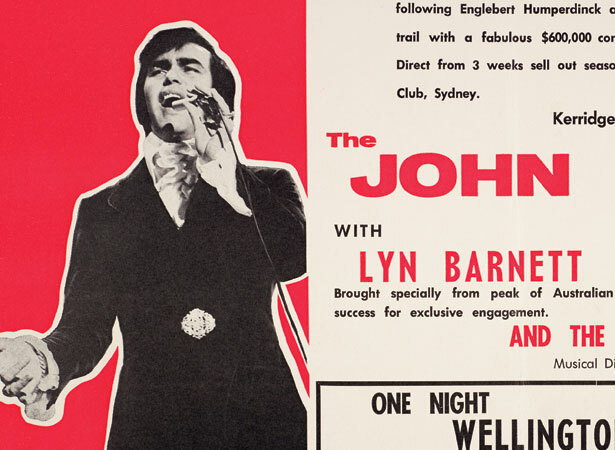 In 1966 he began working with Kiwi promoter Graham Dent. A new hairstyle and mod clothes saw the good-looking boy from Kawerau make a successful appearance on Australian television. His big break came after he moved to England in late 1967. His hit songs ‘If I only had time’ and ‘Hush, not a word to Mary’ featured prominently in the British top-20 singles charts. Now a star, Rowles returned to New Zealand, performing to sell-out crowds. In late 1969 he released the album Cheryl Moana Marie, with ‘Cheryl Moana Marie’/‘I was a boy’ reaching no. 1 in New Zealand. During the 1970s and early 1980s, he regularly performed in Australia, the United States, and New Zealand. His last top-10 chart success in New Zealand came in 1981, with his version of ‘Island in the sun’. We have 7 biographies, 4 articles, related to 'Cheryl Moana Marie' hits no. 1.